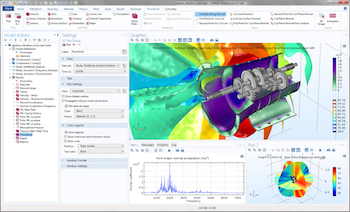 COMSOL released version 5.3 of the COMSOL Multiphysics® software and COMSOL Server™ in early 2017. This release focused heavily on performance improvements to both the core and add-on products. 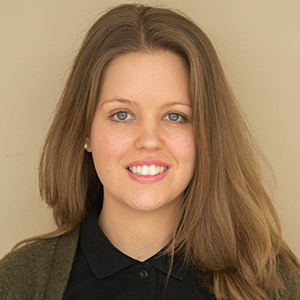 Healthcare-associated infections (HAI) affect millions of people around the globe. While the most common cause of HAI is direct contact with the source, airborne bacteria may also play a role in patient infections. To prevent airborne infection and make hospital clean rooms safer, it’s important to design efficient ventilation systems. 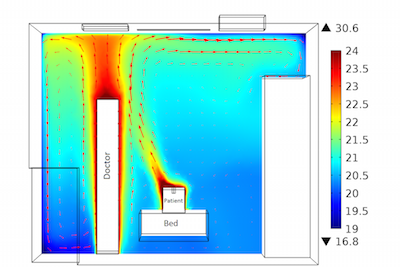 As an added benefit, efficient ventilation designs also lead to lower energy-related costs. 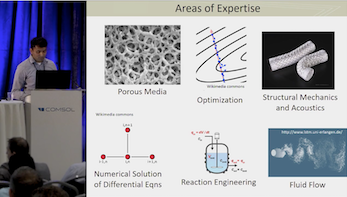 The first step to a better design is CFD modeling. 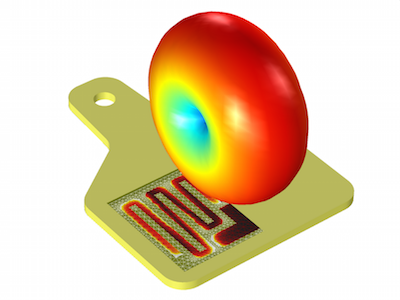 COMSOL Multiphysics version 5.1 introduces a new tutorial model of a UHF RFID tag. RFID tags allow you to identify and monitor both inanimate objects and living creatures through the use of electromagnetic fields. The UHF RFID tag has a wider range than other types of RFID tags and is often used to identify animals. 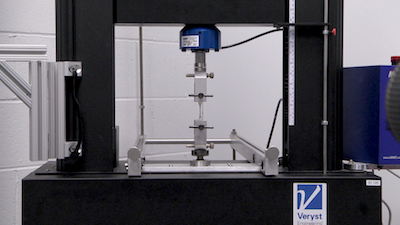 We can evaluate the performance of the tag through an analysis of the electric field and far-field radiation pattern. Previous work on cloaking for flexural waves in elastic plates presented limitations and near invisibility. Now, a research group in Europe has figured out a new theoretical framework to both overcome the limitations and achieve exact cloaking for flexural waves in Kirchhoff-Love plates. 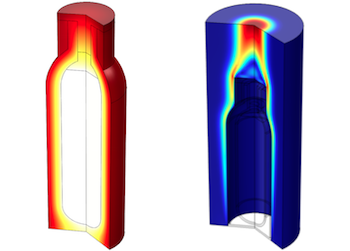 To visualize and test the quality of the cloak, they ran COMSOL Multiphysics simulations. Do you use a vacuum flask to keep your coffee or tea warm? Try simulating the natural convection cooling in one of these containers to see exactly how long your beverage will stay warm. 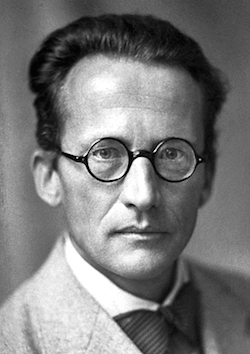 Erwin Schrödinger is the man behind the famous Schrödinger wave equation that is used to predict the future behavior of a dynamic system in quantum mechanics. Today would have been Schrödinger’s birthday, had he still been alive. Let’s celebrate his birthday with a look at some of his accomplishments. 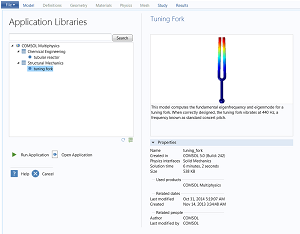 Today marks the release of COMSOL Multiphysics version 5.1. The latest COMSOL software version brings you 20 demo apps and many new features and functionality updates to numerous products. Here’s what you can expect after downloading version 5.1. With the release of the Application Builder, we also bring you tutorial apps for getting started. You can find these applications both within the Application Library in the software and online in the Model Gallery. This is your resource on where to find the tutorials, including how to run the Application Library update.